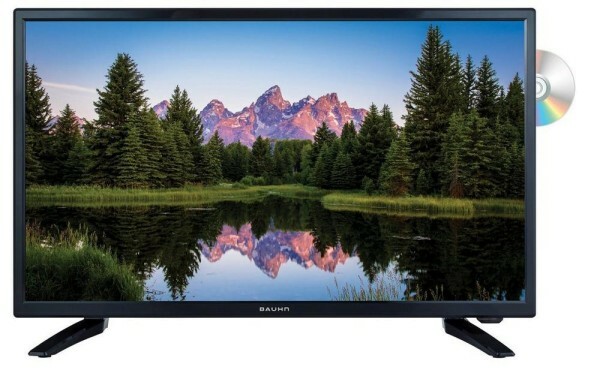 Product information "Bauhn B240FDV_F0318 24" Traveller TV with 12V Option"
This Bauhn B240FDV 24" screen TV has a built in DVD player as well as 2 HDMI sockets plus a Scart socket enabling plenty of connectivity options. A 12 Volt cable is supplied too so this TV can be used in caravans, motorhomes, boats and trucks - perfect for those rainy nights on holiday! Related links to "Bauhn B240FDV_F0318 24" Traveller TV with 12V Option"
Customer evaluation for "Bauhn B240FDV_F0318 24" Traveller TV with 12V Option"